Health care providers and other licensed professionals are human and sometimes make mistakes. Sometimes these licensed professionals get a second chance when they make a serious error. One Florida dentist got several chances and still could not hold onto his license. 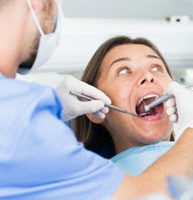 The Florida Board of Dentistry recently made the decision to revoke the dentist’s license. Members of the Board of Dentistry made the unanimous decision on August 25 after recent complaints. It was found that the man violated several Florida laws while two patients were under his care.The board also fined him $11,000. It appears as though the dentist has not practiced for at least several months. The dentist has had complaints against him since 2009. His license has been suspended several times since then. He has met the requirements of each suspension, but with two new complaints against him, the board decided to pull his license for good so he can stop practicing. In his latest cases, he is guilty of many offenses. He failed to keep accurate dental treatment records, engaged in substandard performance, did not develop a treatment plan, delegated tasks to unlicensed or unqualified dental assistants, and did not comply with a board subpoena. Some patients have complained of severe pain, poorly fit dentures, being charged for dental work never performed and tooth extractions without proper diagnosis. Many patients spent thousands of dollars on substandard dental work and want their money refunded. The Florida Board of Dentistry can help both patients and dentists who are having licensing issues. Those interested in the working in the dental profession, want to learn more about the requirements or are concerned about losing their license can find FAQs and resources. Dental patients have their own resources as well. They can verify the license and any disciplinary actions taken against a dentist. They can also report any unlicensed activity or file a complaint against a dentist who they feel did not provide them with appropriate dental care. The Department of Health is not involved in civil matters, but it will investigate complaints made against dentists and ensure that they are following Florida statutes. The department can then punish the dentist if necessary. This may be done through fines, restrictions on the practice, placing the provider on probation, or suspending or revoking his or her license. We rely on dentists to take good care of our teeth. When they provide substandard care, it can lead to infections, injuries, unnecessary procedures, extractions and even death. Dentists who are negligent toward patients can lose their license. If you lose your license, getting it back and returning to your career as a dentist is no easy task. Get legal representation from the Law Offices of David P. Rankin, P.A. I am a Tampa administrative lawyer who focuses on licensing issues for dentists and other professionals. 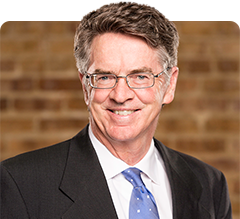 I encourage you to review my experience in these matters at my firm’s web site. Contact my office today for a consultation by calling (813) 968-6633.